I thought it might be fun to start a monthly series called Friday Favs. and share a few things that I’ve been loving lately! These are products that I’ve found and tried myself and absolutely none of them are paid or sponsored. I just love em’ and use them a lot and want to share the wealth with you gals! CBD Drops: I’m imagining, there are two responses to this….. Either, 1.) What is that?!?! or 2.) You actually USE that?!?! I’m not going to go in to great detail here (that could be a blog post in and of itself and I’m no expert) but I’ll tell you what it is and what I use it for! “CBD is an abbreviation for Cannabidiol, a chemical compound found naturally in the cannabis plant. It is NOT mind altering like marijuana, which means CBD will NOT make you high. Over the past 40 years there have been numerous studies that highlight the potential of CBD.” (Quote taken from Green Roads FAQ Page) “Research shows that CBD benefits include: acting as an anti-inflammatory, anticonvulsant, antioxidant, antiemetic, anxiolytic and antipsychotic agent, and is therefore a potential medicine for the treatment of neuroinflammation, epilepsy, oxidative injury, vomiting and nausea, anxiety and schizophrenia. In addition, cannabidiol lowers incidence of diabetes, promotes heart health, may treat depression, and promotes bone growth. CBD certainly helps with insomnia and most people find it highly effective.” (Quote taken from Key to Cannabis) I started taking CBD drops to help naturally combat depression and anxiety (especially the winter blues). In the past, prescription medications like Zoloft have not been successful options for me. Within days of beginning the drops I felt improvement in my mood and sleep quality! 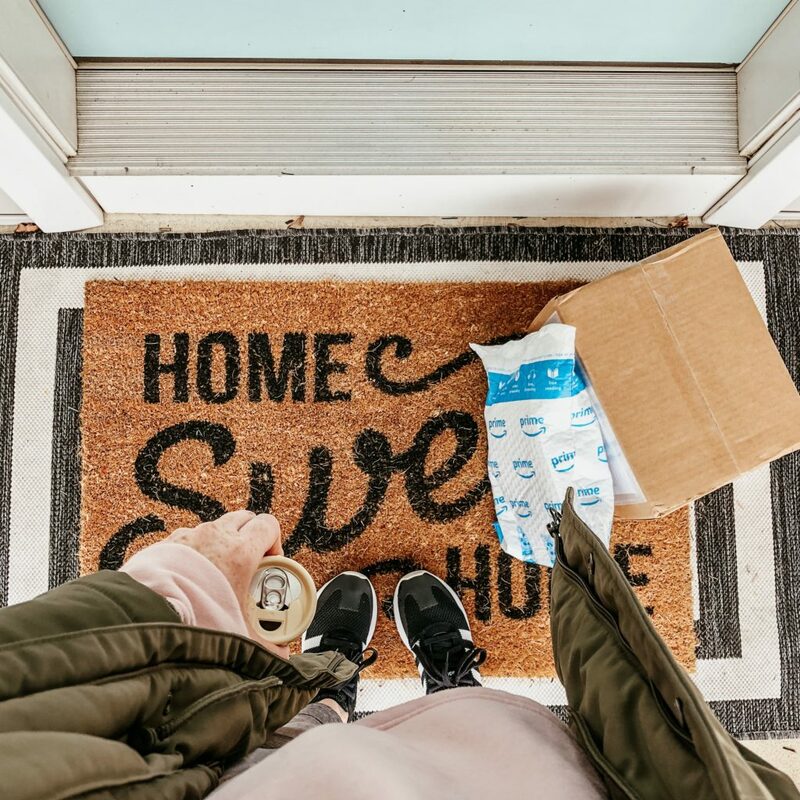 I’ve even found a company (the one I order from) with high quality product that gives HALF OFF to all Veterans and Military (including retirees and spouses)! ***I’d like to stress, that you should OF COURSE always consult your Dr. before trying any new product! I am FAR from a Dr. or medical professional. I’m just a gal who likes to share what she likes! 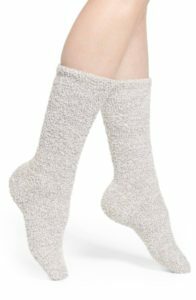 Barefoot Dreams Socks: I snagged a pair of these cozy socks just before Christmas and I also got a few pairs for family members. Y’all, if you live somewhere cold OR you’re always cold – these socks are THE best! They are soft, warm, and durable. But also, they make great boot socks! And, can you imagine if you put lotion on and then slept with these! Get ya some! Scrunchies: Ok, now that you’ve stopped laughing – I’m SERIOUS!!! Did you ever think you’d see these things make a come back?!?! I definitely didn’t! But, after having a couple of babies (can we say hormone fluctuations) and working in a salon and trying alllll the things on my hair (including bleach) – my hair just couldn’t handle traditional rubber bands any more. A handful of strands would come out every time I took my hair down! Eek! While I think these are a fun option, I use these basic black scrunchies from Goody! Silk Pillow Case: Following up on easy swaps that can save your hair, have you heard the hype about silk pillow cases and their benefits? Yas gurl! You can look for things like healthier skin (on your face), less hair breakage and “bed head”, and they have naturally hypo-allergenic properties! (For more info, check out this article: 10 Reasons to Own a Silk Pillowcase) And, you don’t have to make a huge investment! I’ve been using this Zippered Silk Pillow Case from Amazon! La Colombe Draft Lattes: I wouldn’t really consider myself a coffee drinker, honestly. 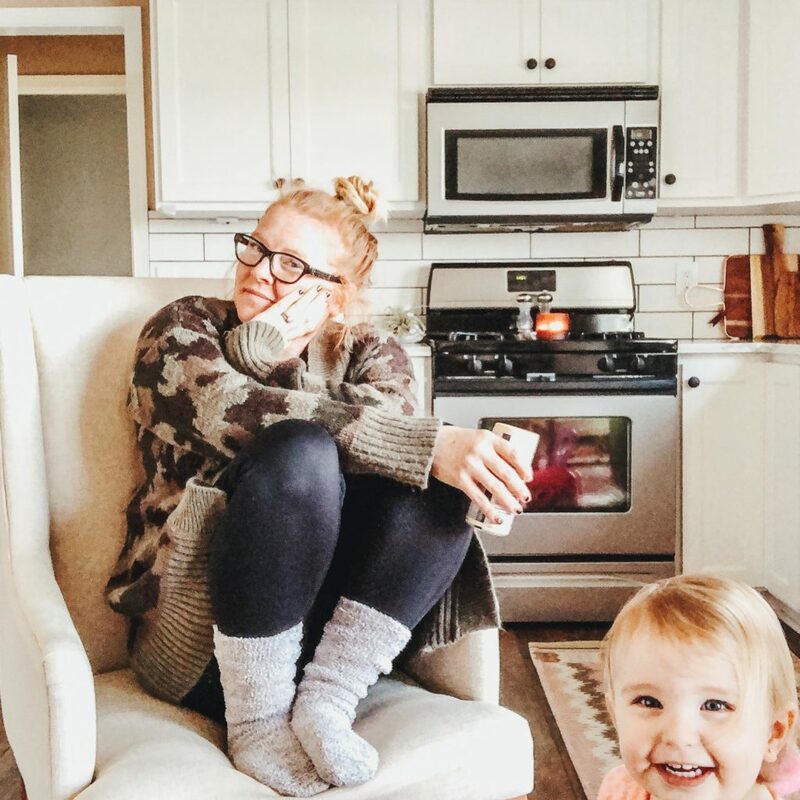 But, I WOULD consider myself a tired mom who will drink coffee around 1pm to get me through until it’s time for wine…..jk about the wine part, kinda. 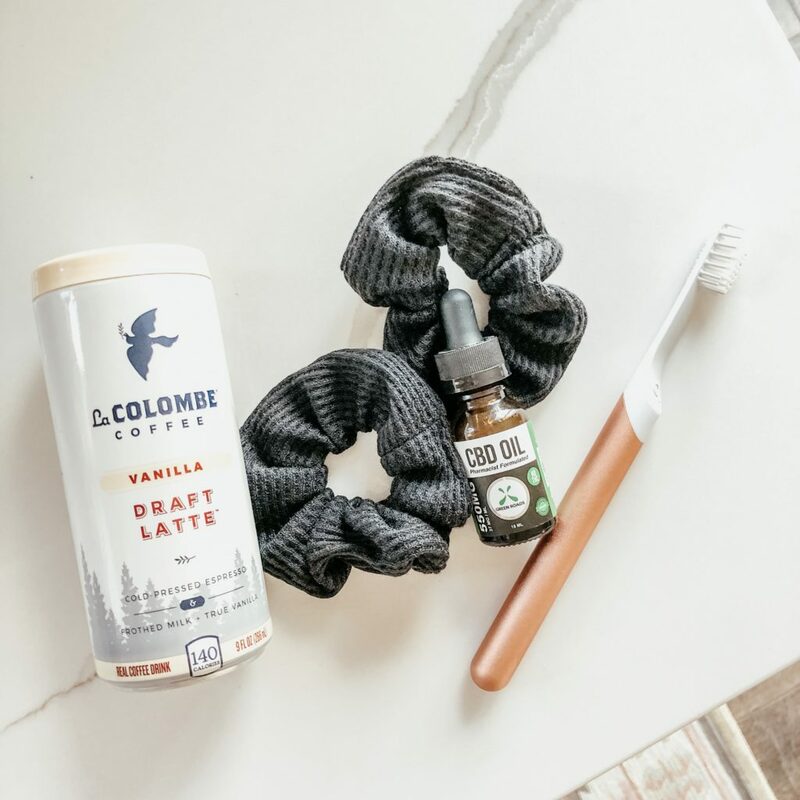 I found this La Colombe Draft Latte in Vanilla at my local grocery store and I think it’s converting me! I have been looking forward to my afternoon pick me up every day this week! It’s also lactose free, gluten free, no added sugar and uses hormone free milk! You can find a variety pack here! I’m trying the seasonal Peppermint Mocha next! It’s in stock on their site now! 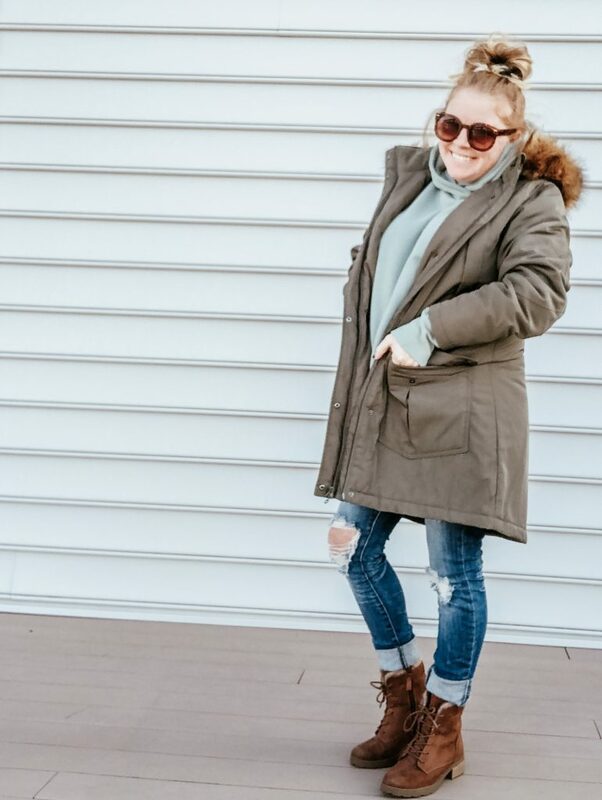 A New Day Arctic Parka: I lived most of my life in Texas, but this is my 9th winter here in PA and I know it’s already warming up in some parts of the country, but here we have a solid month and a half of frigid temps and possible snow left in our forecast! That’s why its imperative I share this coat with you! If you follow me on Instagram, you’ve heard me talk about it already! Just before Christmas I had my eye on a highly recommended parka from J.Crew but unfortunately, it was in the 2-3 hundred dollar range. Shortly after, (on one of those Target runs in which you only really needed toilet paper or something) I found this parka! They didn’t have my size in store so I had to order (with the Target Credit or Debit card you can get 5% off and free two day shipping) but it was perfect! It’s warm, has an adjustable drawstring waist, a faux fur lined hood, and comes in FOUR different colors! Oh, and the best part it’s priced UNDER SIXTY DOLLARS! It’s SO good y’all! Quip Toothbrush: My hubs and I have used Sonicare toothbrushes for yearrrrsssss now and a few months back I started hearing about and seeing Quip Electric Toothbrushes all over the place. My husband listens to Podcasts every day and he even heard about them there! We decided to try them out and have really been impressed! Because I’m a “looks” gal I LOVE that they come in a variety of colors and finishes (I have the Rose Gold finish) and, being a “rules” guy my hubs likes that they ship new brush heads and toothpaste every three months but are also crazy affordable compared to what we were spending on our previous brush heads. If you use our link you can earn a free brush head refill! As always, I’d love to hear if you have or try any of these and I’d be more than happy to answer any questions you guys have! I’d also really like to share some of YOUR favorite finds! What items are you loving lately? What items are you considering trying?